SoftDash Car Controller allows you to control your car, bike, boat or truck from your cellphone via bluetooth. Activate accessories such as lights, remote start, lock, unlock and much more. 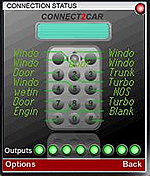 Softdash communicates with an MFC unit that gets installed in your vehicle. 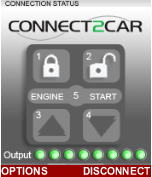 Get your MFC from www.connect2car.com Your can either be controlled locally via bluetooth, or from Anywhere in the world via a data plan. Track GPS location of the vehicle also. All from your cell phone!! Easy and quick setup at any of our authorized dealers listed on our site. 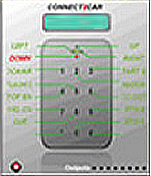 Use your mobile device as a configurable universal network and infrared touch screen remote control for your home automation and entertainment system!